Some new screen shots have leaked claiming to be Windows 10 for phone build 10070, and they show some more changes coming to the layout of Live Tiles. In build 10070 the Live Tiles appear much closer together than they have in the past, with very little space between them. The leaked screen shots come from a Samsung ATIV S, and the build is said to be extremely buggy on the device. The spacing changes could be a change coming to Windows 10 for phone, or it could be due to scaling issues on the device. 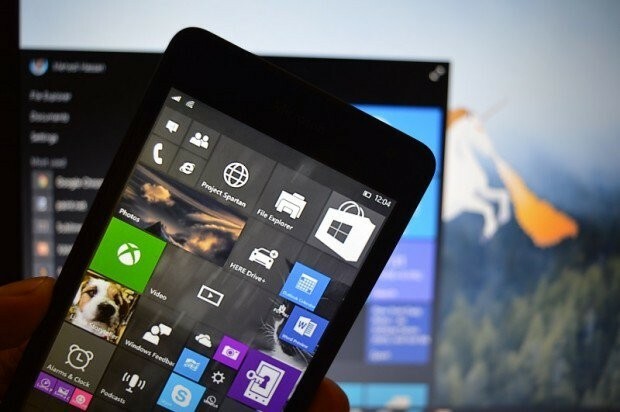 Windows 10 for phone build 10052 recently rolled out to Windows Insiders, followed by a leaked video showing off new transparency settings and other changes as well. At this time we are unable to validate the legitimacy of the leaked screen shot. With Windows 10 development continuing, we hope to find out more about what is to come at Build 2015.